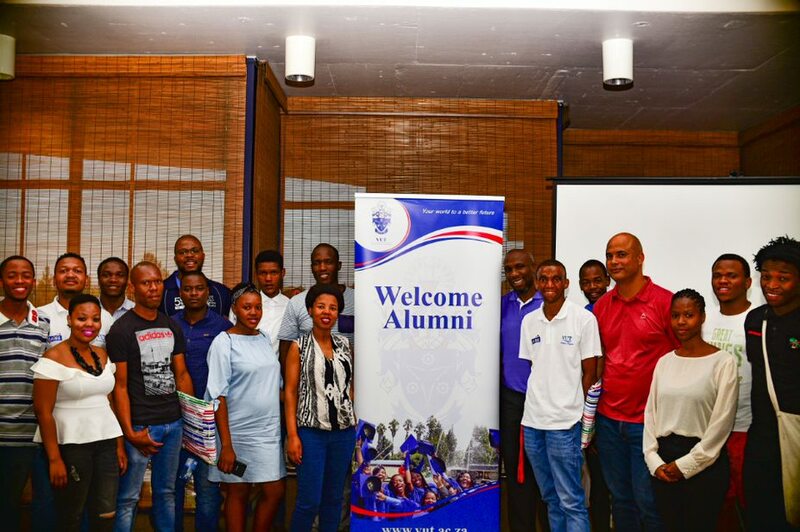 On 23 October the Vaal University of Technology (VUT) held an electrical engineering networking luncheon where students are linked to professionals and alumni in the industry in order to mingle and glean information about what to expect in the workplace. Alumni coordinator, Mr Comfort Madalane welcomed everyone to the event. The first keynote address was given by Mr Collen Nkalanga VUT former lecturer and Alumnus, a lead process technologist from Sasol, who spoke about the 4th industrial revolution whereby IT and engineering work together as one unit. For example, in a smart house which can be controlled from a smart phone. Mr Nkalanga said that in the future all the analysis of the world will be done by robots and some of our professions will be no more. Because technology is always evolving and improving, he asked: “How do you get yourself to function in the 4th industrial revolution?” You have to bring solutions and be a problem-solver in order to survive. He challenged the students to read about this phenomenon and to understand where the world is going. He also said that students should learn how to transform and package what they have (qualifications) into a “smart” thing; an innovative way of surviving. The second keynote address was by Mr Babili Dubazani, an electrical superintendent from ArcelorMittal. Mr Babile said that technicians don’t last in the industry simply because they are not empowered enough to do the work. He advised students to gather skills and knowledge as much as possible when doing their in-service training and their internships. Mr Babile emphasised that machines are taking over professions and that there is no manual operating of machines in his workplace any longer. 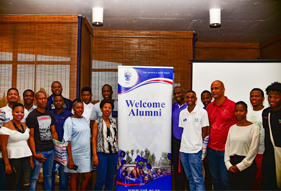 Mr Sthembiso Mkhize from the South African Institute of Electrical Engineers (SAIEE), which has worked together with the alumni coordinator, thanked the keynote speakers and the students for taking their time to attend the event.